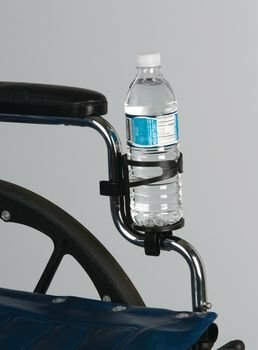 Wheelchair Beverage Holders fit containers 2.5" to 3" in diameter. Holder snaps into place and the top ring on the holder can be manipulated to increase or decrease opening size. Latex free. Holders fit containers 2.5" to 3" in diameter.